Preheat oven to 220°C (425°F). Place the tomato, capers, oil, garlic and chilli on a large roasting tray. Cover with aluminium foil and cook for 20 minutes or until the tomato has softened slightly. 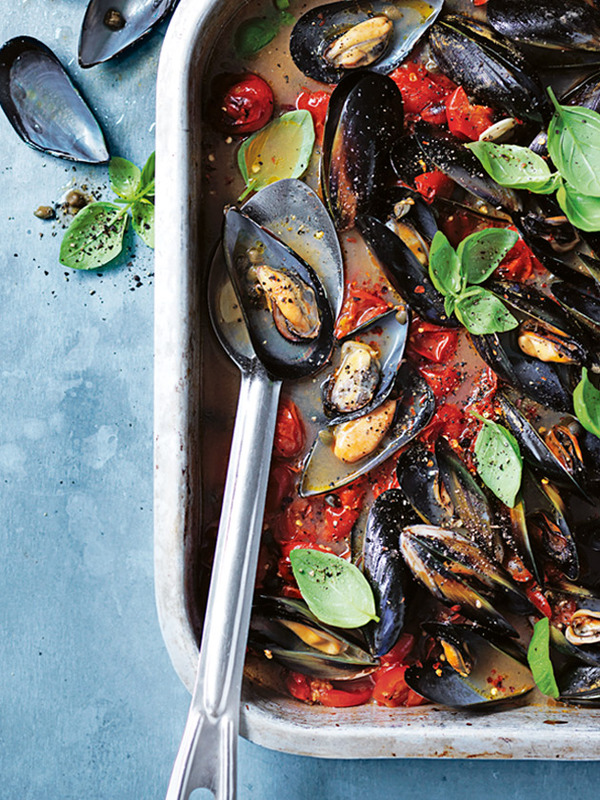 Add the mussels, cover with foil and cook for a further 15–20 minutes or until the mussels have opened. Top with the basil and sprinkle with salt and pepper to serve. Serves 4.